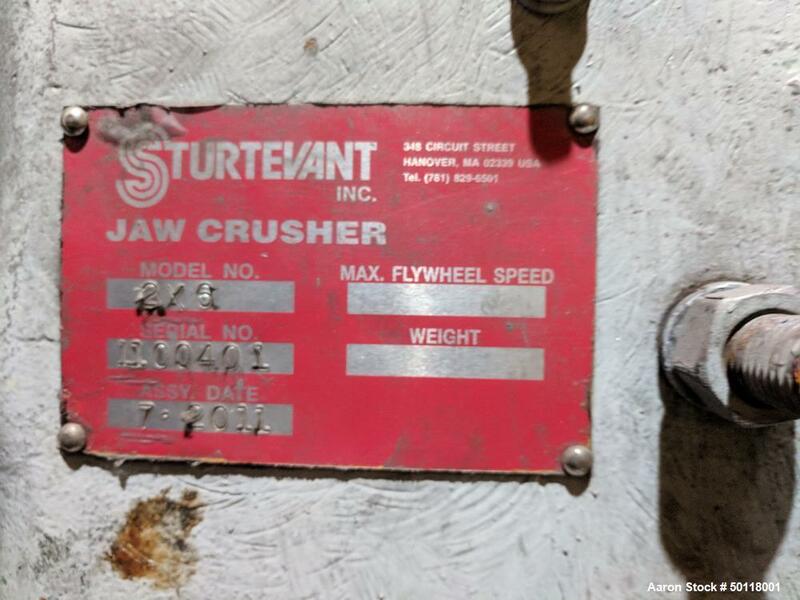 Used- Sturtevant Jaw Crusher. 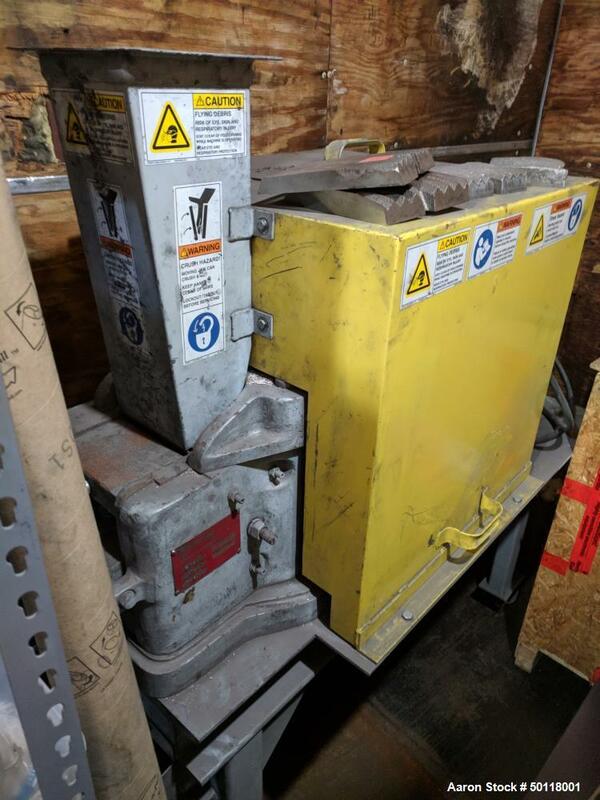 2 x 6 bottom discharge, 2 hp, 3/60/208-230/460 volt, 1165 rpm motor. Mounted on a frame with legs and wheels. Mfg. 2011.